Published: June 4, 2014 at 03:00 a.m. Updated: June 5, 2014 at 05:59 p.m. The San Antonio Spurs and Miami Heat will lock up once again to determine the NBA championship. They tell me it's a rematch of last year's NBA Finals. Well that's fun for NBA fans (I guess.) There is an old adage that says familiarity breeds contempt. It's a big reason why I was so excited that our Los Angeles Kings were finally able to trump those Chicago Blackhawks in a rematch for the Campbell Bowl. What's strange is the Super Bowl hasn't had as many championship rematches, while the NBA seems to have a title rematch every couple of years. And that robs us of something special. The classic Los Angeles Lakers and Boston Celtics rivalry between Kobe and Paul Pierce/Kevin Garnett were something special. Or if you're old enough, you might remember a couple of guys named Larry Bird and Magic Johnson. But before I get too misty, it seems pertinent to look at the six Super Bowl rematches of all-time and put them in some sort of order. Actually, from worst-to-first seems like the most appropriate thing to do here, right? All right, let's give this a shot. 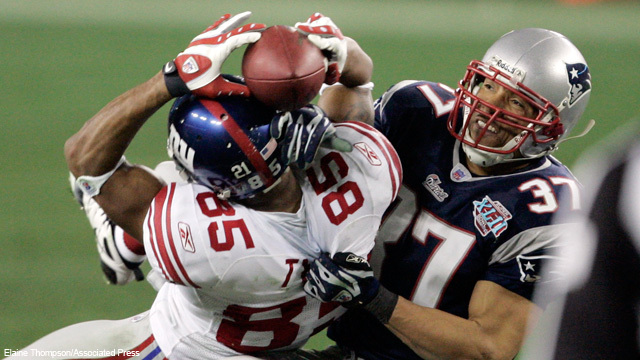 Hard to believe a Super Bowl that followed a strike-shortened season would be so boring. Actually, that's not hard to believe at all. The Redskins in the 1980s weren't anything special, and this Dolphins team is hardly memorable at all. I mean, if your claim to fame is you had a bunch of guys whose last name started with the letter "B," that says a lot. This one might have been fun for the fans of these storied franchises because there was nothing similar between these teams that battled in the Arizona sun and those from decades earlier save the uniforms. But nothing really stands out about this game other than how much money the Raiders gave to Larry Brown after he was selected Super Bowl MVP. Yes, that's how bad this game was. Most fans will think of this game as a blowout because of the final score. But the Cowboys trailed at halftime and you started to wonder if the Bills would finally get their Super Bowl. Of course, the Cowboys took over in the second half after repeatedly running the counter-trey. And the Bills did what they did, and the Cowboys dynasty was born. Thanks, Buffalo. This wasn't the barn-burner everybody fondly talks about when they refer to Super Bowl X. Yet, this one wasn't the epic classic some have led us to believe, either. The final score looks close, until you realize the Cowboys had to convert an onside kick to even make it that close. So while they replay the Jackie Smith drop over-and-over, realize the Steelers had started the victory celebration midway through the fourth quarter. I'm not sure if this was an urban legend or not, but Joe Montana allegedly took the huddle just prior to the final drive and pointed out John Candy sitting in the stands. I would like to believe that happened. And if anybody disputes that Montana is the greatest quarterback in NFL history, then I don't believe we can be friends. "Best ways to determine your NFL Fantasy draft..."